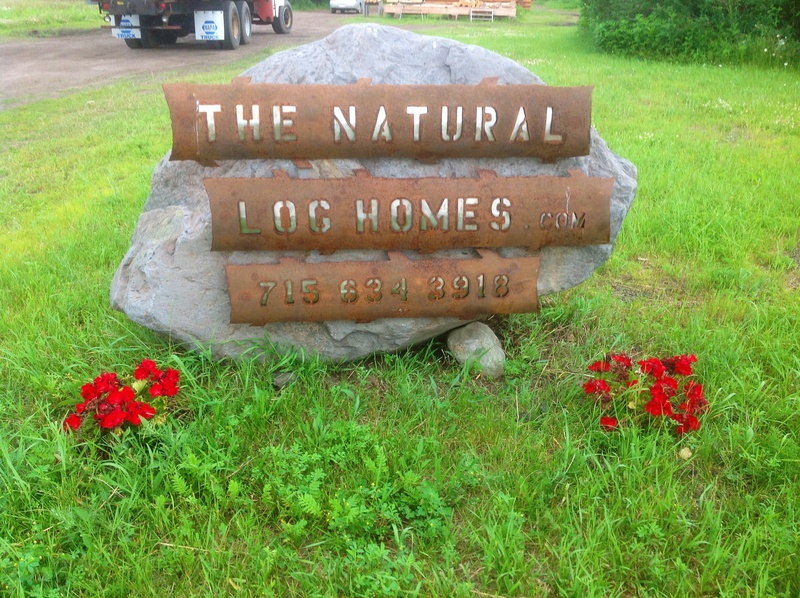 The Natural-Log Homes specializes in handcrafted Scandinavian scribe log homes. We have been building quality homes since 1979. Please, take your time, and scroll through our site. Enjoy! CHECK IT OUT!! The National Geographic web site… Find- “cabin fever”, and click on the video titled “master craftsmen”. It is a little clip on the Great Lakes Log Crafters Association, and its “fundraiser cabin” that we, and a number of other “craftsmen” built at our log yard in Seeley, WI in May of 2014! 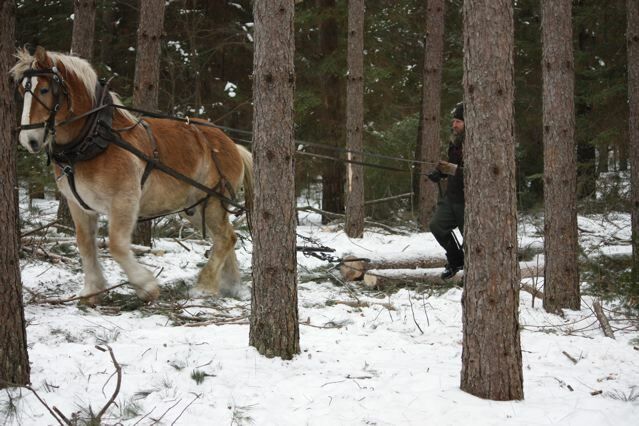 Dan – skidding building logs out of the woods with Big Bill, our 1,850 lb. 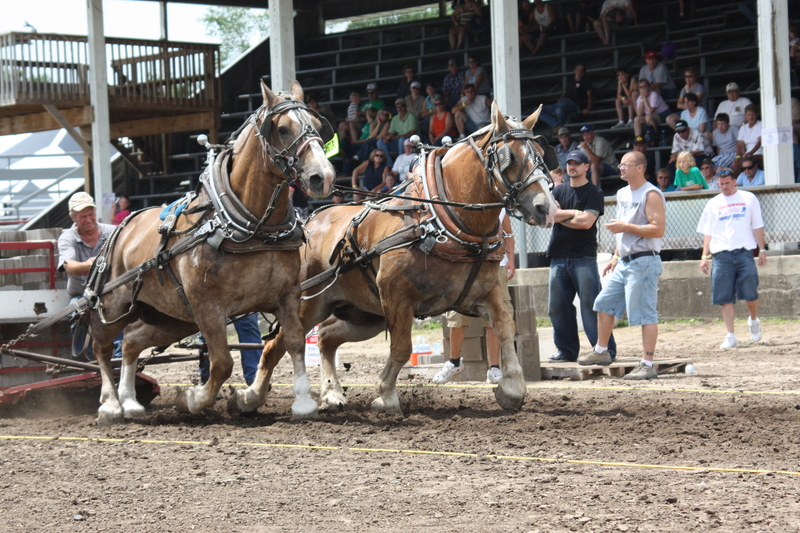 Belgian draft horse. Below, is a picture of Big Bill (on the left) when he was younger! He definitely leads a much simpler, quiet lifestyle these days! « Welcome to The Natural – Log Homes!